It was so awesome. Mary did a great job and I am totally 100% satisfied with everything, the speed, and everything else. It was totally good. It was fast, everything Mary said was true, it was awesome all the way around. It takes time and I wasn't in a hurry, everything was awesome. Mary Brusco is awesome and I give her referrals. They are always there to answer all my questions in a timely manner and made me feel like a priority. I would go with Petaluma Home Loans any time. I liked working with Ken McCoy, he was very good. He worked with us for a couple years beforehand and when it was time to buy a house, we went with him and I felt he did a very good job. It was good from A to Z, and they even got my windows washed for me. I would highly recommend them. They did a very efficient job for us and in a very timely manner. Things were done in a timely manner. The paperwork was done when they said it would be done, and we received the interest rate they said they would get for us. They were very good with communications, if they needed something they didn't wait until the last minute to ask, and it was done very professionally. I was pleased with the whole service. 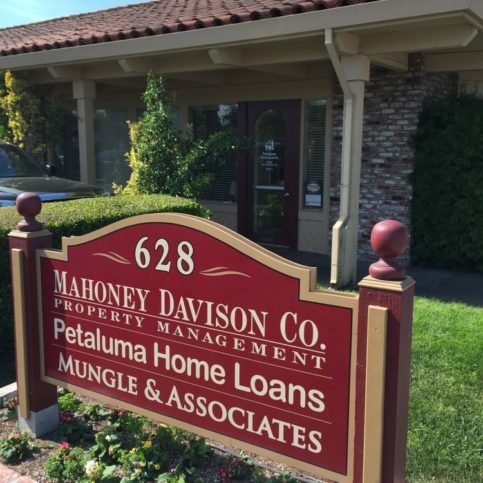 A merican Pacific Mortgage dba Petaluma Home Loans #1850 helps clients get conventional, FHA and VA loans for all types of residential properties throughout the North Bay. The company’s primary focus is handling every phase of the mortgage loan process for first-time homebuyers, but it’s also qualified to help current homeowners refinance or modify their mortgages. Petaluma Home Loans requires continual training for its mortgage professionals so they can stay up-to-date on industry changes and help clients determine the many options for their specific situations. “Unlike banks, we’re in touch with our clients’ files every step of the way, so we make sure we’re knowledgeable about each aspect,” says Mr. McCoy. Petaluma Home Loans has been helping clients get conventional, FHA and VA loans for residential properties throughout the North Bay since 1996. The company primarily focuses on handling every phase of the mortgage loan process for first-time homebuyers, but it also has the in-house capabilities to help current homeowners modify or refinance their mortgages. Choose a mortgage lender based on fair comparisons, not surface numbers. Q: What are the current interest rates? Q: What type of loan can I qualify for? Q: How long does it take to get preapproved for a loan? Q: How long will my preapproval status last? Q: Should I call you before or after I talk to a real estate agent? Q: Will you protect my privacy? Q: Should I get into the market now or wait and save more money? 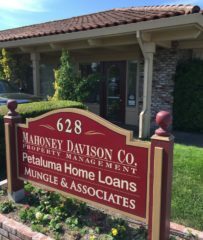 Ken McCoy is a 28-year veteran of the mortgage industry and manager of American Pacific Mortgage dba Petaluma Home Loans, a Diamond Certified company. He can be reached at (707) 439-8297 or by email. A: It’s a tie between Scotland and New Zealand. A: I played trumpet in the band. A: 630 Park Steakhouse in Rohnert Park. A: I collect pin flags from different golf courses I’ve played at. I must have 40 or 50 pin flags on my office wall. PETALUMA — In the past, if you wanted to know the current interest rate for a home loan, you could simply ask a mortgage professional and get a direct answer. Today, however, interest rates aren’t as simple as they once were. For one thing, they fluctuate often—sometimes on a daily basis. This is because interest rates are based on what the bond market is doing, and since bonds are traded just like stocks, the rates are consequently subject to continuous change. In addition to these large-scale fluctuations, there are more specific factors that go into determining the interest rate that you, as an individual, will pay. First, what kind of transaction are you doing? Is it a purchase, a rate-and-term refinance or a cash-out refinance? Are you doing a conventional, FHA or VA loan? There are different interest rates that come with each of these. Furthermore, the interest rate you will pay is partially based on your personal qualifications. This includes your credit score and loan-to-value (LTV) ratio, which is the ratio between your loan amount and the value of the property you’re purchasing or refinancing (as well as the purpose of your loan). Because of all the various factors at play here, even if you have the same loan amount as another individual, you won’t necessarily pay the same interest rate. To make sure you’re getting the right interest rate, be sure to call around to different loan agencies and compare apples to apples. Also, it’s important to find an experienced mortgage professional—preferably one who solely does loans for a living. With their deep, up-to-date knowledge, a mortgage professional can help you navigate the loan process with confidence and accuracy. PETALUMA — Host, Sarah Rutan: If you’ve had a recent life change such as retirement or the birth of a child, it’s a good time to reassess your mortgage situation. Today we’re in Petaluma with Diamond Certified Expert Contributor Ken McCoy of Petaluma Home Loans to learn more. Diamond Certified Expert Contributor, Ken McCoy: The tip for today is about life changes. It’s always a good idea to review your mortgage scenario when you have life changes. And those life changes are things such as a child moving in or out of your house, a new addition to the house or a new baby, going into retirement. All of those things can have an effect on what your housing expense is, whether you need cash out or not, what your future growth needs are gonna be, and those — when people go into those scenarios, then don’t think about what qualifying guidelines there are to be able to go out and do a new loan. And from a lending standpoint, it’s very important, or very critical for the borrower to have some consistent income. Not have gaps in their employment. And if we could sit down with a borrower prior to them making that life change, we can help guide them as to what the best way is so that they get what they want out of the scenario. American Pacific Mortgage dba Petaluma Home Loans : Average 9.4 out of 10 based on 125 unique customer surveys of customer satisfaction. They were able to follow up and get all of my paperwork in order, and they worked with me. They are great for first-time home buyers. They do a great job for their customers. They make it as simple as possible for you. They were great. Steve Mason, he was just very accommodating, and he helped me work through it, which determined what I needed. Michael, the representative I worked with, was helpful, knowledgeable, and answered any questions that I had. Very easy to work with and very straightforward. They made the process very simple. I would tell a friend to call them and certainly give them a shot. There is no guarantee that they would get the greatest rate, but put them on their short-list to call. There was great personal service, and they offered to come to my office to pick up some things that they needed for the lending package. They explained things well. I got to know the people who work there. It is a good place to get a mortgage. He was very helpful, and he answered all of my questions, no matter what time of the day. He was always looking out for my best interests. It is right around the corner from where I live. It's a great place to explore different types of loan possibilities. I guess that they are probably always on top of the ball. My agent was up at 6:00 AM if I needed to talk to him until 9:00 or 10:00 PM. He has also talked to my clients until midnight. Ken was great and really good at following up and keeping us on track to get things done on time. I have referred them to other people. It was simple. They were prepared, and they did their job. It was in and out. They are very professional,and they are always willing to help you. They are very responsive, they do a great job, and they are very efficient. That I don't have to worry about it, as they take care of everything. They are a company of great integrity, and they are very smart people. I have done a lot of business with them over the years. They are very articulate about the scope and the details of your transaction, and they give you clarity, so there are no surprises. They have very good communication, and they closed everything very quickly. There was very little effort on my side, which was great.